Why is HoustonPianoTuner.net such a good deal? You can find Houston area tuners’ websites which show all the marvelous things they are capable of, BUT remember, piano tuners/ techies/ artistes etc generally like to charge the big bucks for each little extra act which qualifies as an “additional service” or time devoted to anything beyond tuning the thing. Most charge extra to raise the general pitch if it is below 440 tuning. 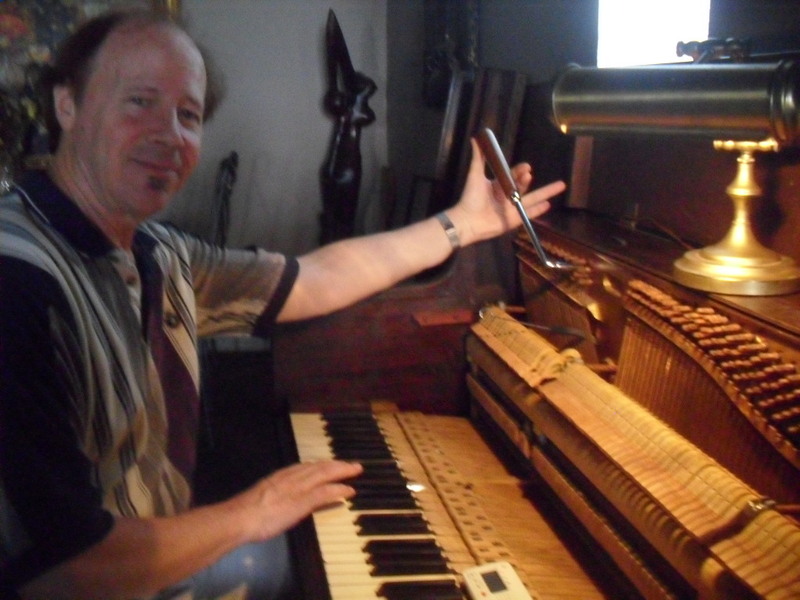 At Houston Piano Tuner , we (meaning Rick the piano tuner) do not charge you additional money to fix such things as sticking keys, notes that don’t play **, raise the pitch, etc. within reason. If you peruse the various websites of Houston area tuners, you can easily figure out what a good deal it is to have yours tuned by “Rick the piano tuner” from HoustonPianoTuner.net ! Yes, there are occasionally a couple tuners who might charge very slightly under our $90 charge for basic tuning, but they add more for every little thing you can imagine. We just charge $90**, and we fix virtually all your problems in the same tuning session. There are lots of tricks to raise the bill, but we don’t do them. And most charge more than our basic $90 charge, as much as double to tune an old out-of-tune piano including raising the pitch. ** our footnote—we’ll fix virtually any problem at no extra cost, if the parts are there, if we can use available materials to fake it, or if you are willing to let us get creative, such as taking your lowest note at the left end (which you never ever use) and use its parts for your missing one, etc—you get the idea, we are resourceful and like to leave you with a perfectly playable piano… and if it can be done in the same session, we don’t charge extra. The only exception to our $90 rule is, as driving in big old Houston is so time consuming, we add a trip charge. Trip charges are related to distance: as of September 2017, mileage charge is $1 per mile round trip. If you are 18 miles away, charge is $36. if you are 7 miles, charge – $14. if you are 41 miles, charge is $82. And we bring a Mapquest or Google Maps printout so you see the true distance. That is it. FREEBIES for Non-Profits- we offer free tunings (or discounts) for some non-profits, such as organizations that serve the poor, supervised youth groups, educational associations, some small churches etc. Contact us to ask. * If we see you have a giant church in a fancy neighborhood, we still want to tune its pianos, but it will not be free. Serving the greater Houston Metro Area. We come to your location, contact us today!